Yet another historic wedding venue in the San Francisco Bay Area. This one is called the Berkeley City Club. Built in 1929 in the Beaux-Arts style, it has similar architecture to parts of San Francisco City Hall (also a Beaux-Arts Design). When it was first built it was called the Berkeley Women's Club and has become famous because it was a bit ahead of it's time with the emphasis on furthering women's culture and rights. To learn more about this building and it's rich history click the link provided above. Obviously, the amazing architecture makes it the perfect wedding venue. 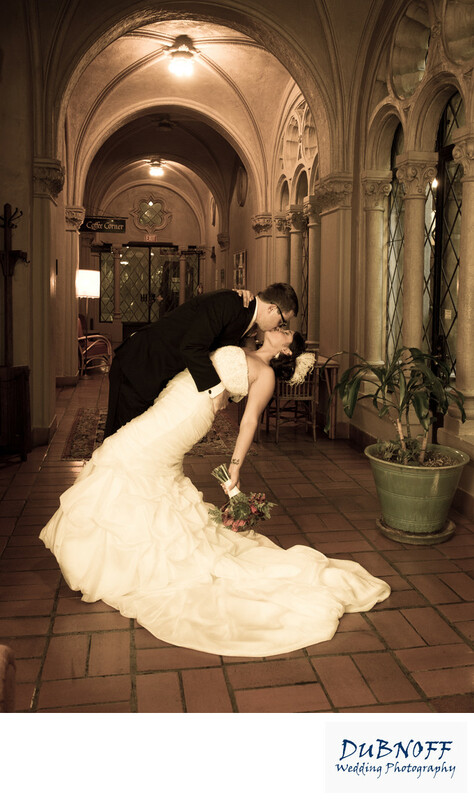 We did a whole series of photos here that you can check out by clicking on Berkeley City Club Wedding.